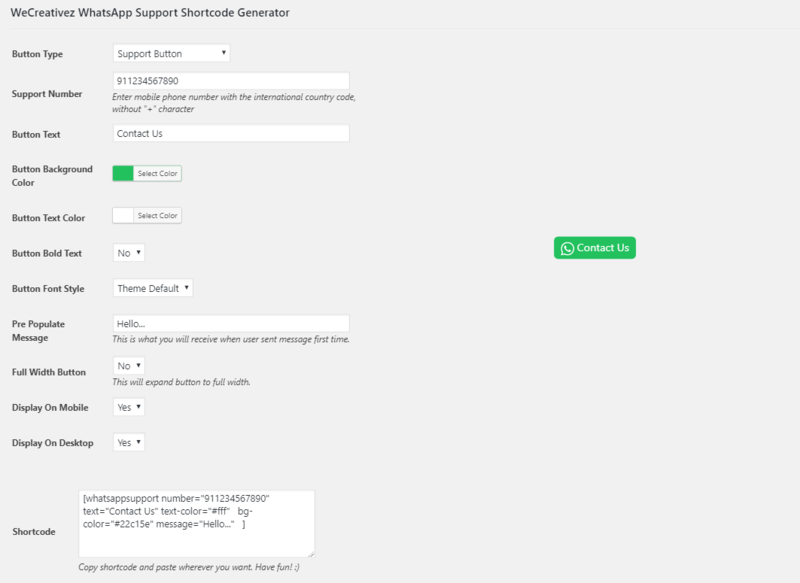 - Added: Link Generator - Now you can generate WhatsApp Support link and share it with your users or clients. 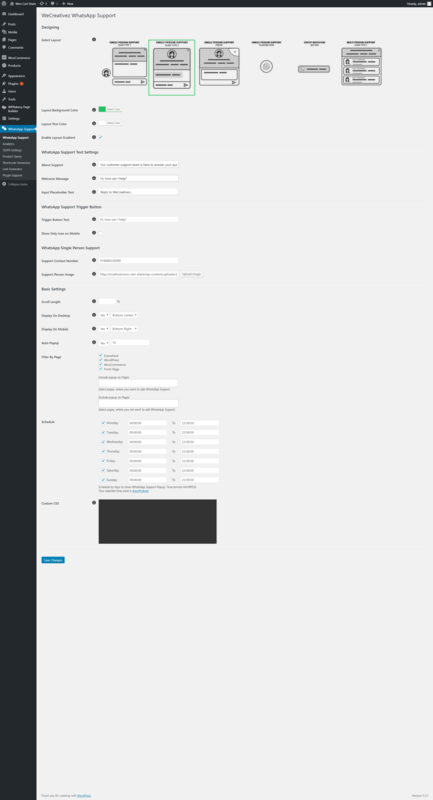 - Added: Filter by Exclude Page - You can select specific pages where you won't want to display the support button. - Added: Show the only Icon on Phone - You can enable only trigger icon instead of text button on mobile devices. - Added: Referral in Analytics - Now you can see the referral or page the customer come from in analytics.